Bermuda is a unique, sun drenched island with a rich history. With a never-ending array of beaches and local attractions, there are activities for all travelers to enjoy. While the cruise lines typically focus on your transportation, our Bermuda tours and excursions focus on your destination. From the pink sand beaches of the South Shore to the cosmopolitan Front Street, we offer the best of Bermuda with packages to suit your budget and style. Enjoy a day tour to a perfectly manicured golf resort to play along the coast. Redefine the words "shore excursion" by indulging yourself at a world class spa. Enjoy a relaxing sail on a large sailboat. Descend below the sea on a Bermuda island dive or scuba diving adventure. Race across the sea in a catamaran, or view the tropical paradise below the surface in a glass bottom boat. Shore Excursions Group offers more than 40 Bermuda shore excursions. The options are endless. Read on to learn more about available guided tours and extraordinary Bermuda island tours. From April to October, the sunny island of Bermuda reaches its high temperatures. During this time, temperatures range from approximately 75°F to 85°F, so be sure to dress for the weather and enjoy some serious sun! The rest of the year, Bermuda's mild climate ranges from around 55° F at night to 70° F in the early afternoon, with high winds making the air feel cooler. Try one of our Bermuda tours and see the beautiful beaches and island culture that put this gorgeous destination on the map. The island's shopping, dining, water sports, and golf are exceptional - once you arrive, you won't want to leave. Click on one of the ports above to begin exploring this beautiful island with our variety of Bermuda cruise excursions! Hungry for more travel? After cruising Bermuda, visit the pristine Bahamas. "Best of Bermuda Complete Island Tour"
"The guide needed a microphone as difficult to hear seated in back. Would have liked to have seen more hidden treasures of the island, i.e. gated community of rich and famous. Overall, very relaxing and educational." "Great time.. Good Crew.. Good Excursion"
"Had a great time but the crew wasn't super thrilled to be there. They were nice but they said it was the last time they were going out for the season and you can tell they were ready to go back home. The beach they took us was nice and there were tons of things to do. Snorkeling, swimming, paddle board, kayaking etc"
"i would do this again & again"
"this was the best orgiized and well carryed out experience of a lifetime swimming with the Dophins was a dream come true and getting to meet and see a three month old dolphin was the icing on the cake made the experience more awesome and i will never for get it and hope to do it again thank you for making the lady's dream come true and making it out of this world more than i could of ever imagined"
"Best of Bernuda Complete Island Tour"
"Had a great time. Our guide (Joze) was a wealth of information! He was extremely well versed and had many stories to tell! I would recommend taking this tour with Joze. Great time." "I am a certified diver. I took my 18 year old twin daughters on this excursion for their first dive. It was very good for them. Instructors were very good and they presented a training class prior to walking into the water off the beach. They had the class demonstrate some understanding of the equipment and it's usage in the shallow water next to the beach. Everything was good except the dive was only in about 10 - 12 feet of water. OK for beginners!" "I recommend this excursion to anyone in Bermuda. It was so relaxing, so fun and Zander and his crew where phenomenal hosts. I was with my 2 teenage daughters and we all enjoyed it. There always paddleboarding, snorkeling, kayaking, beach exploring and Zander told us many interesting things about Bermuda." 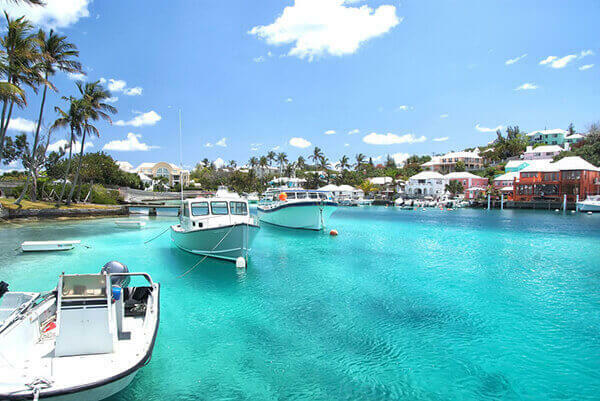 "Know Bermuda in a day"
"The guide was extremely knowledgeable and had a good sense of humor. The bus was very comfortable from seats to AC. This was one of the better driving tours that we have taken. Upon completion, we felt that we had a very good grasp of what Bermuda is." "The Captain of the boat was great! It was dark and raining and he showed us a great time! We were in the Bermuda triangle in the dark and rain - was a little scary but I would do it again!" "The captain and the tour guide were fantastic! This was a must see tour. It was amazing to see the coral and fish." "best of bermuda complete tour"
"We had so much fun on the Restless Native. The guide was excellent. He was a native to Bermuda so it was great to know about their culture and history. We had rum swizzles after we got to the snorkel area. The coral reef/beaches were beautiful. This shore excursion is definitely worth the money (especially compared to the other excursion). This was our most enjoyable excursion."